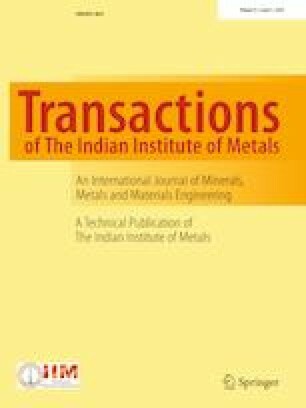 In this work, friction stir welding of 2017A-T451 aluminum alloy has been investigated using different tool rotational speeds varying from 950 to 1250 rpm. The study revealed remarkable effect of the rotational speed on both the microstructure and the mechanical behavior of the weld joint. Significant grain growth was noticed in the heat-affected zone (HAZ), whereas the grain size of the nugget zone (NZ) was insensitive to the rotational speed variation. Increasing the tool rotational speed from 950 to 1250 rpm improved the stirring of the material and shifted the fracture location from the NZ to the HAZ. Local tensile characterization highlighted the heterogeneity of the mechanical behavior that was related to microstructural heterogeneity across the weld joint. Brittle behavior was observed in the NZ, whereas a typical elastic–plastic behavior was detected in the HAZ. The authors would like to thank Mr Loic Joanny for SEM observations and EDS analyses. The financial support of the Aeronautical Research and Development Centre and the Research Centre in Industrial Technologies is also acknowledged.